Every time teachers step into their classrooms, they face the evidence of the need for differentiated instruction. Each student arrives at school at a different starting point: a certain attitude of readiness for learning, an individual style of acquiring knowledge, and a distinct level of mastery of concepts. Multiply these three factors by the number of students in the classroom. The resulting figure is daunting but makes it obvious that ‘one teaching method fits all’ isn’t a practical strategy. Differentiated instruction recognizes and supports individual differences in learning by using a variety of teaching strategies. There are so many options and resources available today that we can adjust for the diverse abilities, needs, learning styles, and interests of our students. As teachers, our goal is to optimize student growth and success at all levels of ability, not simply to achieve or reach a standardized benchmark. Teach every student. Brain based learning studies support a variety of instructional strategies. As students make connections between what they already know and their new learning, interconnections in neural pathways are formed. As a result, information is stored in multiple areas. Meaning and retention are both enhanced. In teaching ICT, we have lots of ways of tailoring instruction to meet individual needs. TechnoKids project-based computer lessons support differentiated instruction with student resources, teaching strategies, and assessment tools. Differentiated instruction requires that we provide a variety of learning opportunities. Students should be able to build a repertoire of tools. They can accommodate their own preferred styles of learning, as well as recognize and build skills in their individual areas of weakness. Vary learning tools. Integrate technology and use the computer as an alternative and additional tool. Target different senses with multiple instructional strategies. TechnoKids Student Workbooks engage students by reading written instructions, studying illustrations that support text, looking at infographics, and handling manipulatives such as TechnoKids tool flashcards. Sample files have students listen to audio and watch video. Brain based learning studies show that most of us learn best when the kinesthetic senses are used – doing, handling, building. Robotics projects prepare students to build STEM skills and support hands-on learning. TechnoKids Teacher Guides provide teaching strategies, technology integration ideas, and assessment tools. Chunk material into manageable parts. TechnoKids projects are divided into smaller sessions or assignments. In this way, a complex task becomes doable. Present learning tasks in graphic organizers. 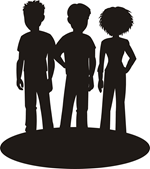 When students create a plan of their ideas for a an inquiry, TechnoKids projects often have them use a chart, brain storming web, or mind map to outline and develop their proposals. Repeat to reinforce. Students build skills through practice, so Skill Reviews and Extension Activities allow for repetition. Allow students to work at different paces. By using the pdf or print copies of TechnoKids workbooks, individual students can complete the activities on their own timeline. Mix up individual and group collaboration. Individual, pair, small group, and whole class activities should all be part of classroom experiences. Flexible grouping allows students with similar learning styles to work together. Recognize that students have different levels of familiarity with concepts before a lesson is taught. Differentiate activities by designing assignments that cover various levels of Bloom’s taxonomy, from remembering (lowest level) to evaluating (highest level). Give students the big picture. Most TechnoKids resource files include a number of samples of completed projects. Seeing and reviewing a finished project solution motivates students, builds interest, and provides a clear example of what is being assigned. Provide a starting point. 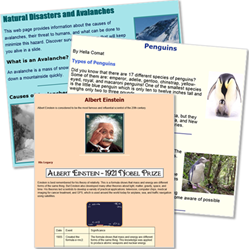 A number of TechnoKids projects, especially primary level projects, include templates. Students can focus on the technology and learning skills without getting bogged down in the less critical details of setting up a document. Combine methods of instruction. Blend a mixture of teacher directed, print, video, and any other instructional techniques. This serves the purpose of both maintaining student engagement as well as appealing to diverse learning styles. The final creation or solution to an inquiry process should be interdisciplinary and open-ended. Allow students to build on their learning style strengths by offering choices. Self directed learning allows for students to work independently and develop critical skills such as organization, creativity, judgement, and persistence. Build engagement by offering choices. Involve students by encouraging them to pitch their own ideas for projects. TechnoKids projects allow for creative thinking and open-ended learning experiences. Offer a variety of outputs. When students are given options, they take more responsibility for their learning and become more engaged. TechnoKids projects may be a presentation, visual art, timeline, graphic story, newsletter, questionnaire, blog, interactive map, animation, and many more! Provide opportunities for assorted types of assessment. TechnoKids grading tools include student, peer, and teacher checklists, rubrics, rating scales, marking sheets, and skill summaries. Incorporate reflection. Summarize learning, process new learning, identify areas for improvement, and set goals. Many TechnoKids projects contain a reflection component in a final celebration of learning. Brain research tells us that learning really ‘sticks’ when activities are both meaningful to students as well as integrated in curriculum in an interdisciplinary approach. As well, students are motivated when they are actively discovering and investigating a problem. 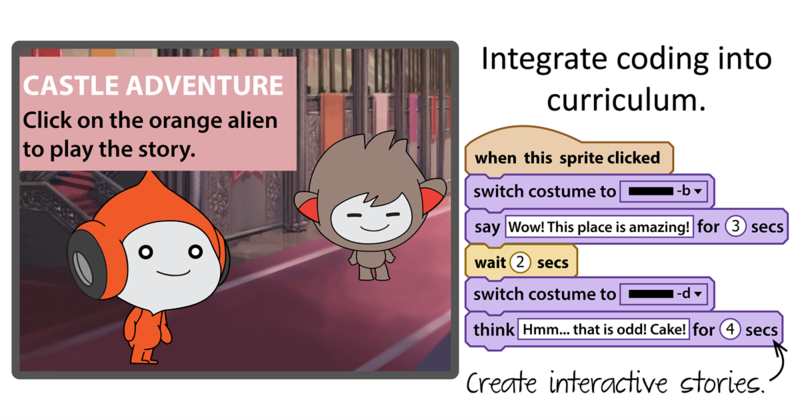 Teach coding with Scratch to middle school and junior students to build computational thinking skills. 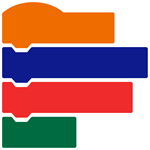 TechnoCode, the newest technology project developed by TechnoKids, was created specifically to spark an interest in computer science by engaging students. 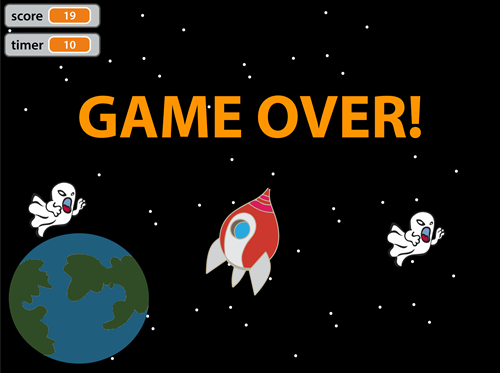 As they use Scratch to build programming skills, young learners construct a series of activities for kids. As game designers, they consider their users’ interests and abilities. They become authentic programmers who plan, code, and actually field test their unique creations. The TechnoCode project is primarily a STEM project that teaches coding. However, the activities also integrate into other areas of curriculum including language arts, mathematics, social studies or science, visual arts, and music. TechnoCode is an introduction to programming. The activities have students build algorithms that sequence commands, events, loops, and conditions. Use the project to target computer science learning outcomes. The project includes a detailed list of skills achieved in each Session, ideal as a teacher checklist for assessment. The assignments in Session 1 and Session 4 can be integrated into curriculum as a language arts unit. In these assignments, students engage in visual storytelling. They create animated scenes and stories. To extend language arts learning outcomes, the concept of plot, setting, and characters is also applied when engineering games in Session 3 and 5. Integrate TechnoCode into an existing problem-solving unit in Math class. The assignments are an ideal fit because coding requires mathematical and logical thinking. For example, placing sprites on the stage requires plotting ordered pairs, rotating objects involves knowledge of angles, and setting the size of sprites uses percentages. As well, logic is used to control when or if an action happens. Include The Session 4 Skill Review in TechnoCode as a creative way to showcase learning into another subject area. In this activity, students build an interactive diorama. It shows a scene from nature or a historical event that engages the viewer to click on objects to learn more. Complete the activity to have students share facts or create a simulation about a topic currently being studied. Samples provided include space exploration, tornado, and farming. Target visual arts learning outcomes with TechnoCode. Graphic design is interwoven throughout the activities. Students apply their creativity to paint or edit unique sprites and backdrops. They also apply their skills to engage the audience using visual elements. In addition, the Session 2 Extension Activity specifically has students draw artwork with a pen using code. Integrate TechnoCode into a music class. In the Session 3 Extension Activity, students invent an instrument. This activity is a fun way for students to express their musical talent. TechnoCode technology project teaches programming using graphical blocks. Inspire your students to become coding ninjas with TechnoCode! TechnoHTML5 has always been a favorite top seller for educators. With the current focus on STEM education, teaching HTML coding is more relevant than ever. Now that Chromebooks are prevalent in the classroom, TechnoKids has modified this popular project specifically for Chromebook users. Using a web-based text editor that integrates with Google Drive makes HTML coding a breeze. Now when you order TechnoHTML5 you will receive two versions: one for desktop HTML text editors such as Notepad or Code Writer and a version for Chromebook users that uses a free app such as HTML Editey. I wrote in a previous blog about the reasons to teach programming. Of course, not many students will choose careers as computer scientists or program developers, but that’s not the main rationale for coding lessons. Strong communication skills and personality traits that lead to success in life and the workplace are critical goals for students. Learning to code does just that. As they learn to plan, organize, write, edit, and troubleshoot, students build invaluable life skills. Perseverance, problem solving, analytical thinking, creativity, and collaboration are enhanced by learning programming. These crucial personal habits will benefit students for life. 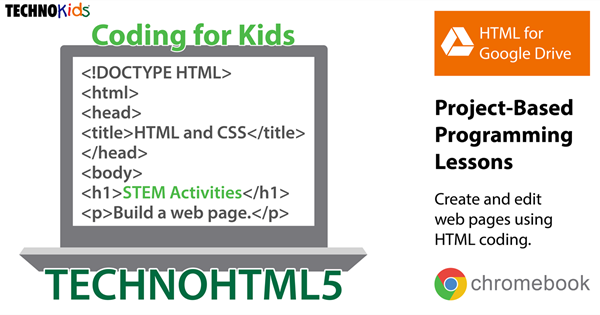 TechnoHTML5 for Chromebooks is an introductory HTML project for middle and high school grades. Students build a web page using HTML and CSS. They style text, graphics, and hyperlinks. Optional challenges have them format lists, add a background image, create a class, add animated gifs, and more! Step-by-step instructions with checklists in the Student Workbook build organizational skills. The Teacher Guide includes assessment tools such as a summary of skills and customizable marking sheet to evaluate the completed web page projects. Digital resources include sample files, reference sheets, review questions, and skill reviews for practice. Students design a web page on the topic of their choice using TechnoHTML5. HTML Coding is fun and easy using a Chromebook and Google Drive. On a desktop, I found it cumbersome to always save my work in the text editor then toggle to a browser and refresh to see a preview. But using a free text editor for Chromebooks such as HTML Editey provides instant feedback. Two panes allow the user to write code and see immediate results. There are many other great features to HTML Editey that we’ll write about in an upcoming post.